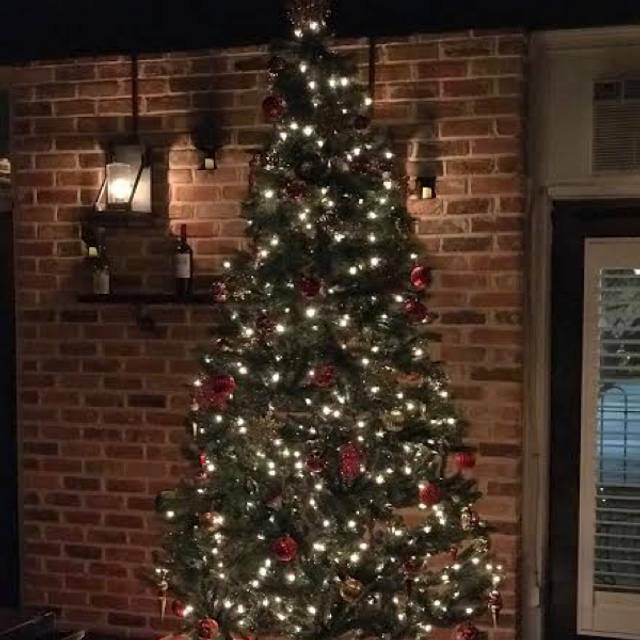 Tarantelli’s is located on Second Street, just one block from Front Street and in walking distance to the Cape Fear River. 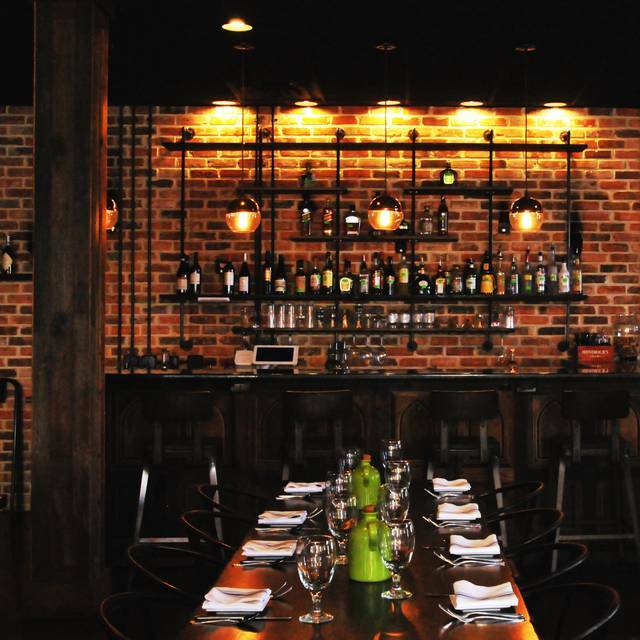 The restaurant and event venue is located in the historic district of downtown Wilmington. This lively area spans 230-plus blocks and is home to some of the best bars, restaurants, churches, architecture, and selection of fine art. 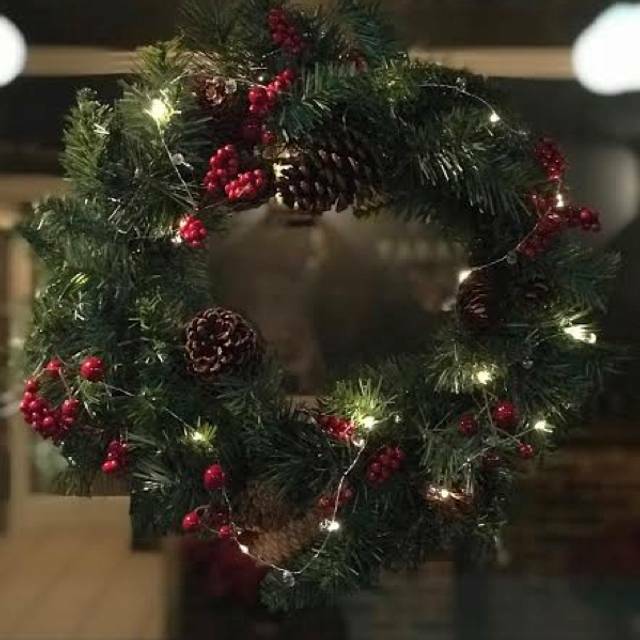 There are several parking facilities nearby, but you can also reach Tarantelli's year round via horse drawn trolley and carriage, river taxi, trolley cars, or on foot. New favorite italian restaurant! We were looking for a place to go for Easter dinner with our son and daughter-in love. There were not a lot of options but we found Tarantellis and decided to give it a try. The restaurant is beautiful and reminded me of vintage Italy. One of the owners greeted us and gave us a great table. The server was friendly and knowledgeable as we had some food allergies in the group. They have a nice wine selection and the food was awesome! They gave us plenty of time to finish each course as well. We will be back! Always a wonderful date night! Food is amazing! Reservation was honored, wait staff were,food delicious and price was right. Second time here and we will be back again. Excellent food! We were well taken care of and we will DEFINITELY go back! Tarantelli's has amazing dishes. I have only lived in the area, but have been back to Tarantelli's multiple times. They make their own pasta - what a delight. Each time I go I try something different and have enjoyed them all. If you haven't been there - I would highly recommend you go. 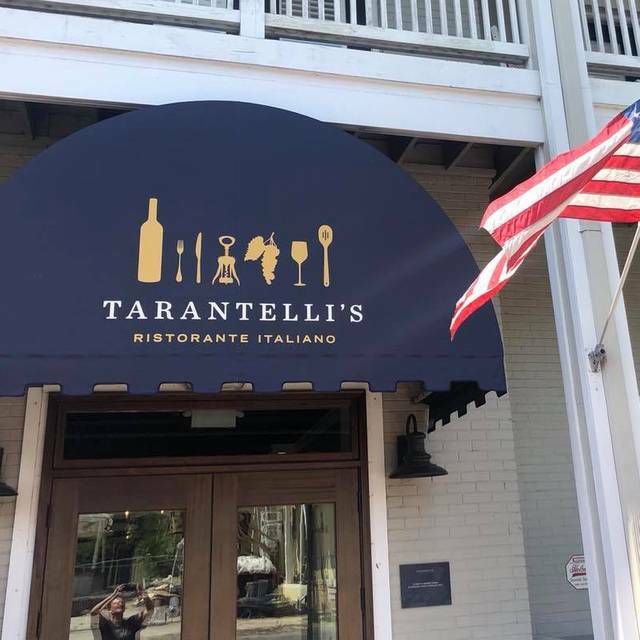 I booked our reservation at Tarantelli’s because we were looking for a good Italian meal and the previous reviews looked pretty good. If anything, the rave reviews undersold the food! The first thing I was struck by was how welcoming the staff was. Granted, it was a Tuesday night and the place was not packed, but they had gotten a flurry of people arriving at the same time, most of whom were unexpected. That can throw many places into a tizzy, but the staff were all dealing with it super well. We started with a couple of their specialty cocktails which were well prepared and subtle, making your mouth ready for some great food, which is what a cocktail is supposed to do. I recommend the Fahgetaboudit, a slightly spicy and herbal gin & tonic. We shared the caprese salad with the house made bread and garlic infused olive oil (we asked for some balsamic vinegar, too). Then for our entree we had the Spaghetti al Formaggio Parmigiana. This is their take on a flaming cheese wheel pasta and serves 2. It is prepared tableside and the server tells the story of the Tarantelli family and this dish as it is being cooked up. The also add a couple of twists I had not seen before with this dish. First, they use bourbon and not brandy, and second they use a garlic tomato sauce on the pasta and not just a cacio e pepe sauce on the pasta that is dumped into the cheese wheel. All I can say is that the aroma coming off the cart as it was being stirred up was intoxicating. When it is plated they top it with a sprinkle of sea salt and freshly chopped basil. It was absolutely delicious! 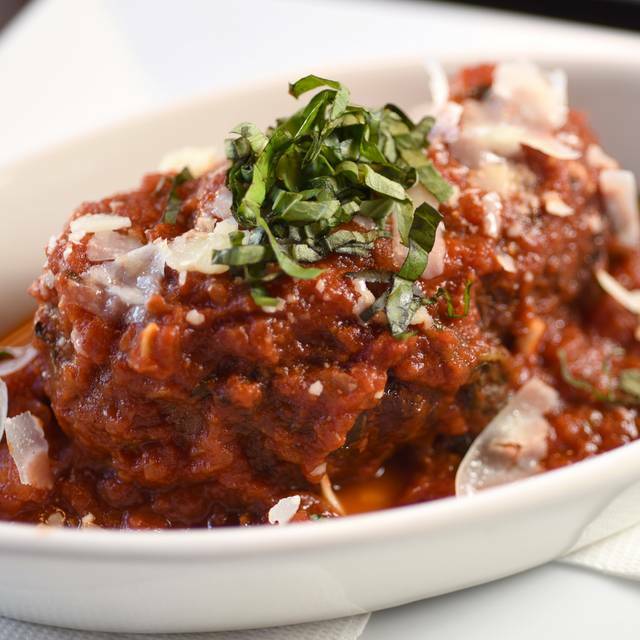 We added the optional meatballs (you can also choose sausage) and they were great, too. I’m not sure that I would do that again, though, because the pasta and sauce were so good on their own. There wine list is a little limited, but the prices are very reasonable and virtually every wine is available by the glass. We are in Wilmington several times a year and will look forward to coming back! We’ve been here many times and what brings us back is the consistency of their food. Nobody even has a bad dish. It was our second time and the food is amazing! I highly recommend the sea scallops, the Brussel sprout app and the spinach. The filet was also incredible. I highly recommend it and it’s one of the best restaurants in Wilmington. Service is excellent too. We ordered the big cheese wheel with whiskey. We had bever tried it before but had seen others and heard the story. Our waiter lacked enthusiasm and didn't really give the full presentation. We felt a little slighted but the dish made up for it. We will certainly recommend Tarantelli's. Loved that they had half portions, the meal was fantastic and the staff was very friendly. We had great service and the food was excellent. The pizzas were amazing, especially the one with prosciutto, fig and arugula. Others in our party had the pasta dishes and all were delicious. They had a kids spaghetti and meatballs that my daughter loved. This was our first time eating here and it exceeded our expectations. 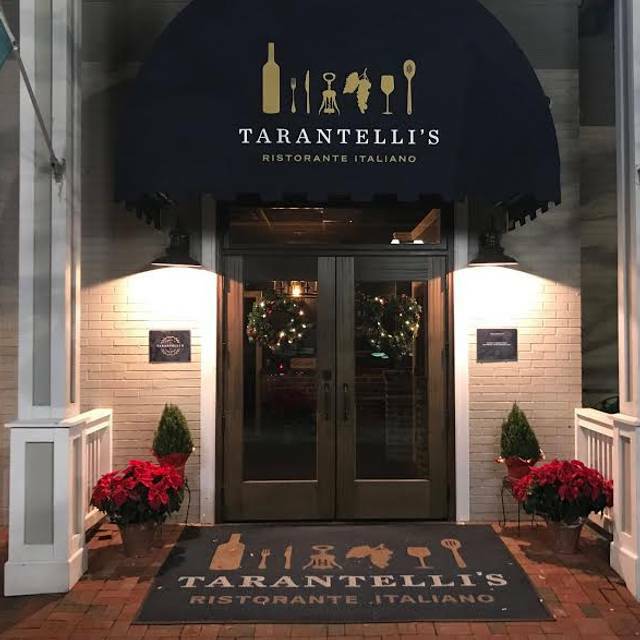 We had dinner for first time at Tarantelli’s on Saturday night. Everything was great: the service, the food and the drinks. We sat at a table in the bar area. Perfect. We will definitely be back!! Our first visit to Tarantelli's was for my daughter's 21st birthday. She was pleased with the experience and everyone enjoyed their meal. We will definitely be back! Awesome! Definitely a return option. Really great place. Dinner was outstanding, service very good. We took out of town guests from Boston who frequently have dinner in "The North End", so we were challenging the chef. The kitchen team responded admirably. One of our friends has an allergy to garlic, so the kitchen prepared a fresh sauce for her pasta. My companion had a sensational ravioli stuffed with chicken and sausage and covered in a fig/chablis sauce. I was jealous but enjoyed my eggplant, very similar to the one my Aunt Jo always made for me. On friend's veal marsala was a solid rendition of the classic dish and our other friends past with sausage and meatballs, while hardly exciting, was enjoyable. 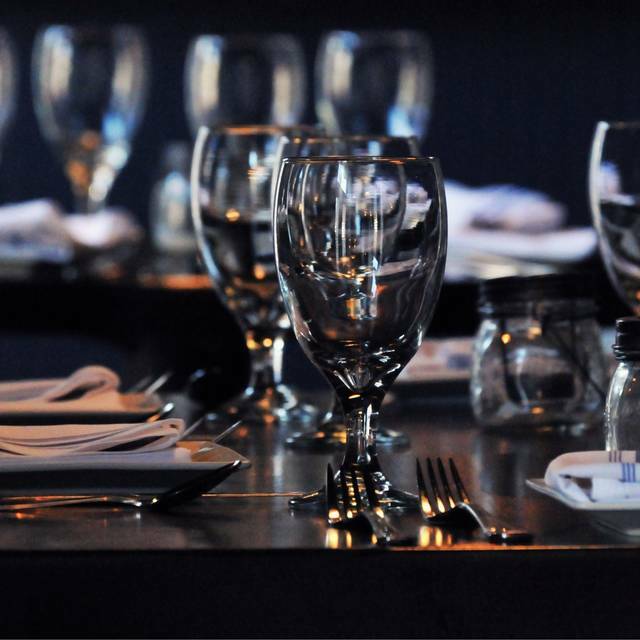 As we have always found, the service was excellent and our server was helpful and solicitous. I was also pleased to see that the wine list has expanded and virtually all wines are offered by the glass. We brought our own and the corkage fee was a very reasonable $20. So lets talk about the decor. Come on guys, the food here is too good for the cafeteria look and feel of the dining room, with what looks like cheap patio furniture in the center and rather incongruous and out of place black leather booths ringing the dinning room. This just doesn't feel like a warm and welcoming place, and it is too bad, because the food pleases at least this Italian. Get a decorator! Unique and delicious Italian dishes. Found this place via a google search for date night restaurants in Wilmington. I don’t normally write reviews, and I’m super picky about italian food being from NJ. This place was perfect! From the second we walked up to the door and were greeted by the doorman, everything was great. The food, experience, and staff could not have been better. Will definitely come back! Great, friendly service and awesome food! We will be back. 2 rockfish specials were over cooked/dry. Compared to previous visits our server was lacking. We requested a large booth one week prior to accommodate 2 guests with poor hearing. Upon arrival we were given a smaller booth with explanation they could not overload the server assigned the large booth who also had party of 12 arriving later. Our party of 6 could not all fit in booth; 2 had to sit in chairs outside the booth. Disappointing! We had 12 people in our party and everyone thought the food was exceptional. The staff was very informative and tried very hard to make everyone's experience enjoyable. We also brought a a birthday cake to surprise my wife on her birthday. Everything went without a glitch. Thanks for a great meal and a fun time. Delicious food. My wife and I both ordered the ravioli special and it was awesome. We also ordered the bruschetta and caprese salad and both were outstanding. Definitely would recommend and will return. Nice dining atmosphere with great food and attentive, friendly staff!! Great establishment. Great menu choices. Service was great. Food was amazing. Great service with terrific food. Booth was very uncomfortable as the springs had seen better days. We could not wait to leave we were that uncomfortable! Love the ambiance and the food. The veal marsala was excellent, tender and savory. My husband loved his spaghetti and meatballs. we both enjoyed the calamari appetizer which alone would be reason to return! Delicious home made pasta and affordable bottle of wine. 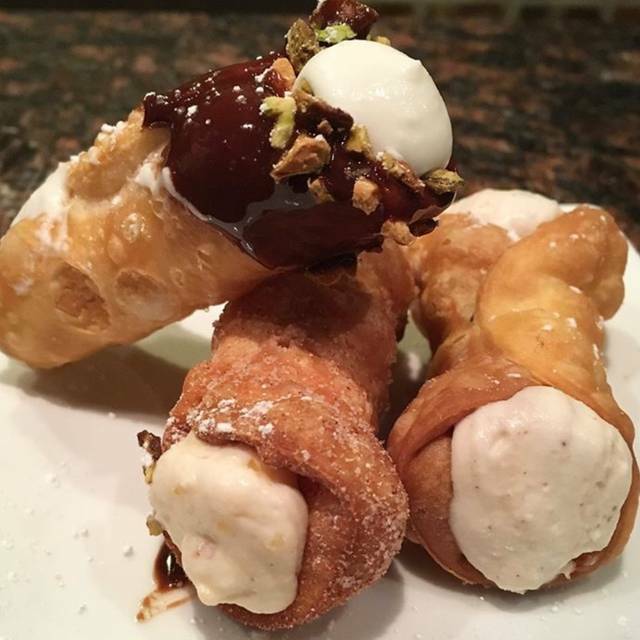 The cannolis were the best. Loved the intimate environment. Will return soon. 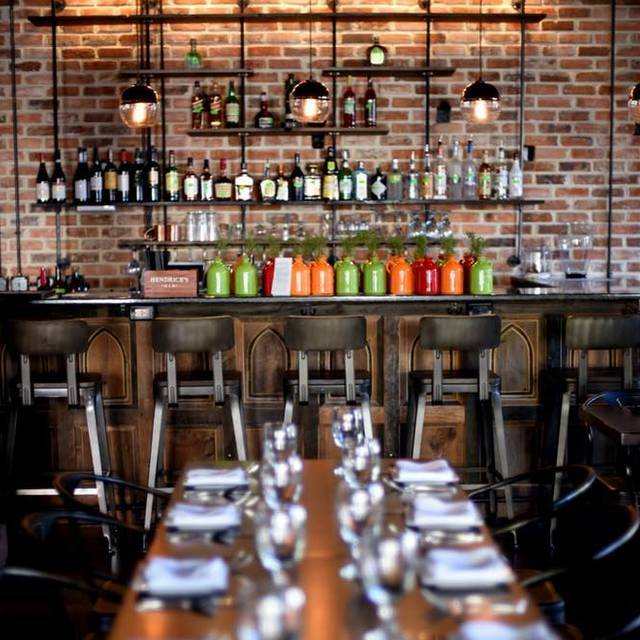 Nice location, beautiful decor, great ambiance, and outstanding food. Nice variety on the menu. We’ll definitely be back. Altho, we told the Host that we were expecting 4 others for dinner -- our guests were not directed to us waiting in the bar. Hopefully, management is getting serious about instituting an experienced " front of the house " steward to eliminate these type of issues. Fish of the day with risotto (altho pricey @ $36.00 ) , steak and pasta were fine. Two of our guests ordered the Sicilian Braciole -- that dish was chewy needing more braising time and possibly a different cut of meat. And too many pine nuts in the mix. One of the best preparations of scallops I've had and I know my scallops Comes with asparagus and risotto. I'm not an asparagus fan so our server recommended sauteed spinach. Loved it. Try this dish; you won't be disappointed. Food and service both excellent. Nice atmosphere and background music was at the correct volume so as not to interfere with conversations. It was a busy Saturday night,so it might not be the best time to judge the service and noise. The veal in the veal piccata was tender, but the sauce had way too much garlic. The restaurant was attractive, close to downtown and they did not rush us, so we would be willing to give it a second chance. Enjoyed our evening and this as our second visit. Love the arancino and veal Marsala. Great atmosphere and knowledgeable pleasing staff. Definitely will be back! First time date at a nice Italian restaurant. Our expectations were exceeded on all levels! Needless to say we will be back. And the price was reasonable. Great venue! Food was delicious, fresh and generous. My husband and I shared an entree and still had enough to bring home. Service was good, and food was delivered in a timely manner. Although the restaurant was crowded, noise level was not too bad and we were able to carry on a conversation. Will definitely go back! Service was very good; and the food matched. Had minor problem with a wrong order, but they corrected it immediately. Very professional. We had a wonderful evening at Tarantelli's!! The food, Spaghetti e Polpette and Bistecca e Pistacchio Gremolta were so delicious and we were pleasantly surprised to have live Jazz music that evening as well. It was a great find - and we will definitely plan to visit again!!! The service was very understaffed. Had to wait awhile for a our wine and beer orders, even though the restaurant was less than a third full. My dinner meat was heaped I top of noodles than had congealed together making them enedible .